Welcome, gentle reader, to my Gerald Mohr website. 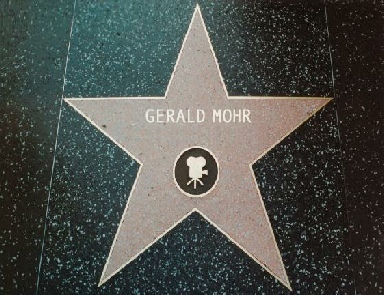 I have, for many years, believed that Gerald should have a Star on the Hollywood Walk of Fame to commemorate, under the Radio category, the many years of radio broadcasting he dedicated to entertaining America throughout the 1940s and early 50s, most especially as Philip Marlowe, Raymond Chandler’s famous private eye. The amount required for a Star by the Hollywood Chamber of Commerce is $30,000. To help raise funds you can either DONATE or PURCHASE ITEMS. If you would like to contribute towards his Star, please click the DONATE button above, which will take you to the “A Star for Gerald” page on my website, where you can choose whether to DONATE or PURCHASE. Thank you very much! Tak!